RADIO CAROUSEL was one of the first of the early MW pirates coming out of Ireland that was quite widely heard in the UK. The station began it's life as Radio Carousel, Dundalk. A copy of a sales booklet, the Radio Carousel Network September 1982, and below, the text within. Full PDF version available. 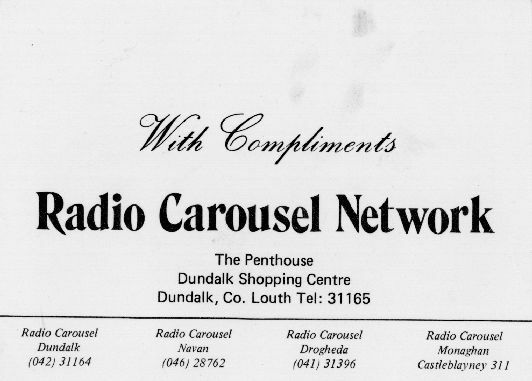 Radio Carousel is located in the Penthouse of the Dundalk Shopping Centre occupying 2,500 square feet. It has three studios, an extensive Record Library and various offices for the administrative staff. Radio Carousel provides employment for 21 people. From its inception Radio Carousel was committed to a Schedule of Programmes evenly blended, News, Information, Features, and Music. Local involvement has been the key to the success of Radio Carousel. Within weeks of going on the air on May 19th 1978, Carousel had built up an audience of which many stations on the air for several years would have been proud. The Carousel catchment area stretches from Balbriggan to Banbridge, from Monaghan to Navan, and it has succeeded in welding these areas together with programming provided by a team of professional presenters who know and feel for the area in which they work. The RADIO CAROUSEL NETWORK is a new concept in local radio and a further expansion of Ireland's No.1 Local Radio Station. Each of the four Stations operate on a completely independent and self-supporting basis, ensuring truly local broadcasting and providing a far reaching radio network for the most popular programmes of the day. Each of the four Stations broadcast a minimum of 4 hours of local broadcasting with a local content, local news, local presenters and special advertising rates for local advertisers. All of the Stations join for the 9.00 a.m., 1.00 p.m. and 6.00 p.m. News bulletins. The Radio Carousel network effectively covers 29% of the country. Audience Rating: 178,000 (Certified) Beaming out a strong signal within a 40 mile radius of Dundalk, its audience rating was certified (by Lansdowne of Irish Marketing Surveys) at 178,000 and the Station has grown enormously since the Survey. Its achievement in local radio has been well documented during the last four and a half years and it is now firmly established as Ireland's No.1 local Radio Station. Telephone: (042) 31164/31165 - Dundalk. Area covered: All of Co. Meath, East Westmeath to Mullingar. Located in the Mall of the splendid new Navan Shopping Centre, it brings a new dimension to Irish Radio in so far as the broadcasting studio is open to the critical eye of the general public. Located in an impressive new glass studio in the Mall, shoppers can see the "on the air" presenters as they do their shopping. The reception office for Radio Carousel (Navan) is also located in a glass building adjacent to the studio. Area covered: North to Belfast, West to Armagh City, Portadown, and Craigavon. The newest of Radio Carousel's satellite Stations which effectively covers 3/4 of Northern Ireland with a strong signal on the 212 medium wave. For four and a half years we have been aware of the vast listenership that Radio Carousel has in Northern Ireland. This frequency was designed specifically to give our many Northern Ireland listeners their own local programmes, as well as improving the quality of our signal, especially from 6.00 p.m. onwards. Area covered: South Louth, North Dublin. 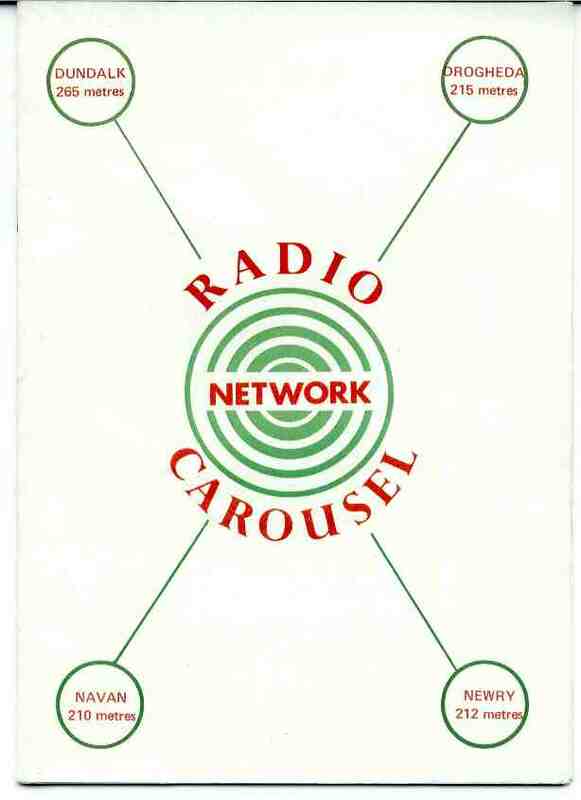 This was the first of Radio Carousel's satellite Stations and proved very effective in getting the Radio Carousel signal into the outskirts of Dublin. The fully equipped studio is located beside the picturesque Boyne Valley Hotel, ensuring a quality signal for Carousel's many listeners south of the Boyne. Telephone: (041)31396 Drogheda. Radio Carousel provides a very wide range of programming including educational, religious, informational, chudrens and other minority programmes which give a truly balanced listening programmes for everyone. The programming is spontaneous and flexible, so that urgent information can be transmitted without delay, and of course they are uniquely local so that they can broadcast information which is totally relevant to their own area. Radio Carousel has acquired the reputation as "the place to turn" - individuals, local authorities, police and emergency services know that Radio Carousel can respond at a personal level to the problems of individual listeners, and at community level to local cries. Help or information is just a 'phone call away. Radio Carousel's local identity is an important element in attracting such a substantial and diverse audience. Radio Carousel take great care in the examination of advertisements from any source before they are broadcast to ensure they do not mislead harm or offend. Our advertising department are skilled in Radio production, and have managed to come up with some of the best commercials heard on radio in these Islands. It is the Policy of Radio Carousel to limit advertising to 9 minutes per hour. The Radio Carousel Outside Broadcast unit frees the Station from the confines of the studio, and allows it to take the programmes to the audience hence more and more people are able to share in local events and activities, by being present. The Radio Carousel mobile studio has been a focal point at functions as diverse as the Shelagh Field Day of sports and activities, tossing the sheaf, tossing the wellie, and egg and spoon race, to the final of the Art Competition where prize-winners ranging in age from 6 - 14 years were presented with their prizes. The Radio Carousel outside broadcast unit also gives the public the opportunity of meeting the presenters and finding what the face behind the voice is like, while picking up t-shirts and car stickers, and seeing in a small way how a radio programme works, as well as giving the people an opportunity of being a disc jockey themselves. Radio Carousel has a very efficient professional news-reporting team and all aspects of local news is covered. Radio Carousel has its own regular contributors from every town in the area. In addition Radio Carousel's political correspondent, Dermot Kelly, an experienced journalist with the Irish Times, has been an unbiased and highly skilled political pundit who has covered every aspect of the political scene with particular emphasis on the recent General Election. The Radio Carousel "News at 1" is an exhaustive 12 minute round-up of all the national, international and local news presented by Mike Ahern and Dave Scott. It invariably features on the phone reports and interviews with the people who are making the news. "Programmes for everyone" is every Programme director's aim, and the research findings have shown just how well Radio Carousel have succeeded in this. It appeals to a much more representative cross-section of the population that it is possible to do on a National network. It is very popular among men and women and its weekly audience includes almost equal numbers of both. Rather than recruiting the majority of its listeners from one narrow age gap, Radio Carousel draws its audience from all age groups as the accompanying chart will illustrate. The major audience comes from the 25-54 age group. Radio Carousel's Managing Director, Hugh Hardy recently raised £1,170 for charity, bringing the total which the former Showband Manager has raised for charity, over the £100,000 mark! Since the start of Radio Carousel four years ago he has been regularly involved in raising substantial sums of money for charities - as contrasting as the Kampuchean Refugee Fund, Oxfam, and on the home front, meals-on-wheels, Simon, Red Cross and Re-hab to name but a few. It started with a three-mile sponsored jog for Re-hab to which his listeners sponsored him to the tune of £2,000. A sponsored walk for a local school raised a further £3,000, and listeners to Hardy's daily programme "Country Call" were responsible for raising £32,000 cash in just five days for a local nurse on her way to help Kampuchean refugees. Last year he was elected Dundalk's first Lord Mayor in a fund-raising event that raised a staggering £55,000 for the Ultra-sound machine for the Louth County Hospital. Nine months ago his Christmas Lord Mayor's Appeal fund raised £3,000 for the poor and needy while other similar chartiable promotions over the past few years have raised in excess of £3,000, and this latest sponsored slim has now shot his fund raising achievements to over the £100,000 mark, an incredible achievement! The Breakfast Show with Shane Mullen. Weather and traffic reports, time checks and lively chat. Mike Ahern Show - a Current Affairs programme with guests, political, religious, and/cultural discussions on various topics. Country Call with Hugh Hardy - fast moving Country programme with phone-in, comments and valuable Quiz, e.g. 2 week holiday in Florida; 2 weeks in Nashville etc. Lunchtime Express: Music, Features, Requests and Quiz. Carousel tonight - a daily diary of the events happening 'tonight'. Sports Report with Shay Breslin - a daily 35 minute sports programme with results, analyses, discussion guests and previews. 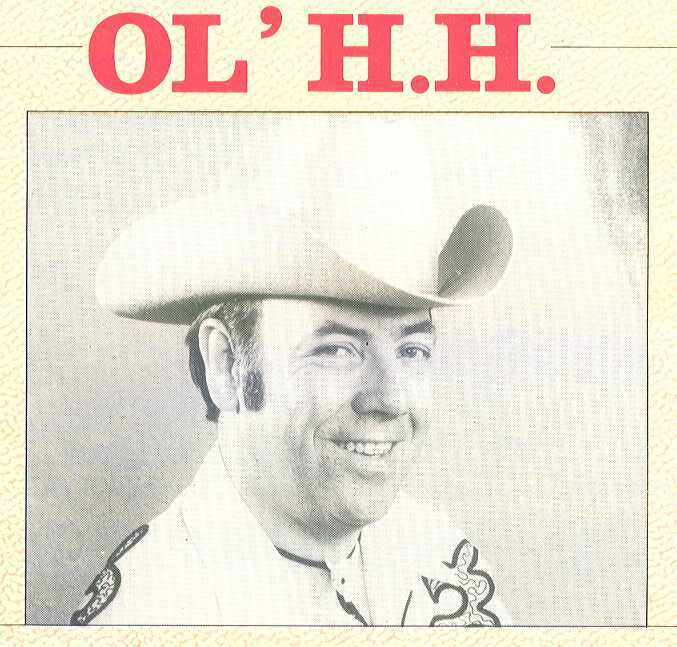 Country Call with Hugh Hardy - another 60 minute jam-packed programme of Country Music. The Bob Lee Show - Pop music for younger listeners. Late Night Radio - A three hour programme of Easy Listening Music catering to all tastes. Other Programmes include - On Saturday morning the popular "Children's Corner" with Penny Palmer; Sunday evening, traditional music, classical jazz, and of course the ever-popular Hospital Requests on Sunday morning during which we have a religious talk. The Survey showed that the most popular programme on Radio Carousel is Hugh Hardy's 12.00- 1.00 Show, which in fact is 36% ahead of the second placed programme.